Posts are a great tool that can be used to communicate with people. 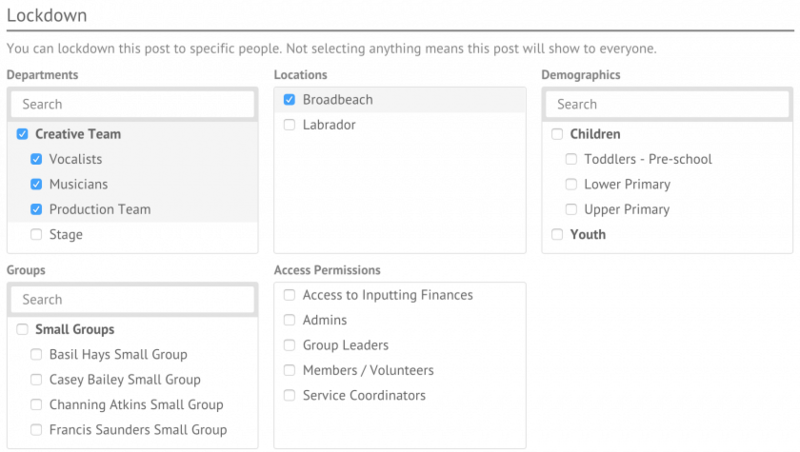 Create a new post by navigating to Posts > Add Post in the Admin Area. 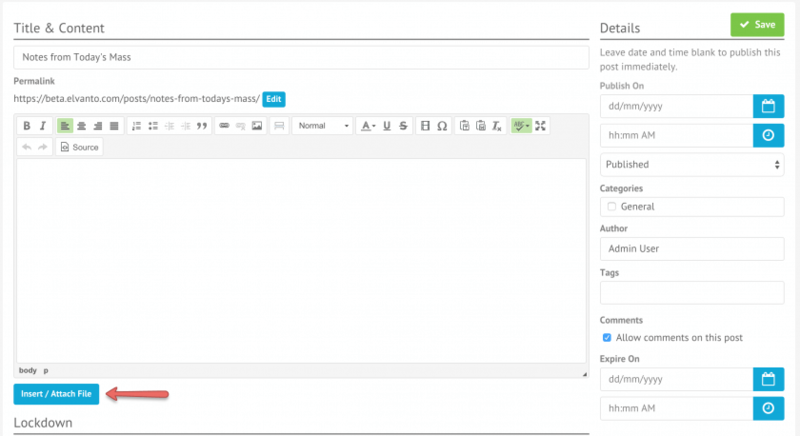 Once the page loads, enter a post title and content in the text editor. To attach a file or an image to the post, simply click on ‘Insert / Attach File’ or by embedding online media by clicking the ‘Embed Media’ button. A number of other settings are also customizable including attaching post categories, setting when the post is published and when it expires and whether to allow people leave comments on the post. To limit your post, choose who has access to the post by changing the ‘Post Access’. By default, both Members & guests can view the post. To disable guests’ ability to view the blog, you may also want to change their access in People Settings. Next, select any lockdowns you wish to apply. 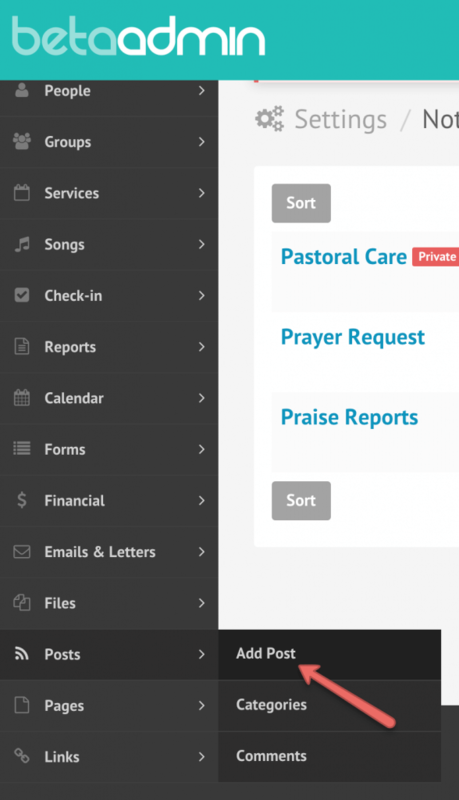 By selecting the lockdown areas, you are choosing to only allow people who meet the lockdown criteria to see it – for example if you select the Worship Team department, only people within that department will be able to see that post. If you select multiple departments, members of any selected department can see it. If you select departments and a location though, they must be a member of a selected location and a member of the selected departments.